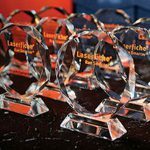 LONG BEACH, CA (January 16, 2014)—Laserfiche has announced the winners for the commercial category of its annual Run Smarter® Awards program. Avis Fleet Services, named the Best Fleet Management Company in South Africa for the past five consecutive years, was a featured speaker during this morning’s keynote session at the Empower 2014 Conference. The company won a Run Smarter® award for integrating Laserfiche with multiple systems to improve customer service, simplify accounts payable and manage the traffic fines and accidents accrued by drivers of its 200,000-unit fleet. PPG Aerospace, the aerospace products and services business of PPG Industries, won a Run Smarter® award for its use of Laserfiche to organize files, process documents and automate business processes. Laserfiche saves PPG’s Work Comp Manager 10 hours a week on manual tasks, and use of the system has expanded to a total of 10 departments across five different locations. 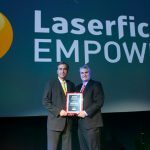 Rodobens S.A., one of the 100 largest conglomerates in Brazil, won a Run Smarter® award for digitizing printed and handwritten documents from 10 of its companies stored in 52 different locations and centralizing it in Laserfiche. In addition to decreasing the need for document storage, this initiative eliminated a three-day lag time between the time information was captured and when it became available to the customer service team.